Invasive lobular carcinoma (ILC) is the second most commonly diagnosed type of invasive breast cancer, accounting for 10-15 percent of all invasive breast cancers. However, ILC is an understudied disease and has only recently been recognized as a unique subset of breast cancer. In 2015, Dr. Charles Perou and colleagues within The Cancer Genome Atlas (TCGA) published a landmark paper clearly establishing ILC as a distinct subtype of invasive breast cancer. His group identified multiple genomic alterations distinguishing ILC from invasive ductal carcinoma (IDC), highlighting the need for new treatment approaches for this breast cancer subtype. Invasive lobular carcinoma (ILC) is the second most commonly diagnosed type of invasive breast cancer, accounting for 10-15 percent of all invasive breast cancers. However, ILC is an understudied disease and has only recently been recognized as a unique subset of breast cancer. In addition to its unique genomic characteristics, ILC has distinct etiological, clinical and biological differences from IDC. In spite of this, a woman with ILC will most likely receive the same treatment as a woman with estrogen receptor-positive (ER+) IDC. There are many challenges to studying ILC, both in the laboratory and in clinical trials, and these have delayed advancements in our understanding and the clinical management of the disease. To address some of the challenges and to forge a path forward, BCRF investigators, Drs. Steffi Oesterreich, Nancy Davidson and colleagues at the University of Pittsburgh Cancer Institute initiated the First International Symposium on ILC. Other co-chairs were Dr Otto Metzger (Dana Farber Cancer Institute) and Heather Hillier (Patient Advocate). BCRF was the primary sponsor of the meeting. This two-day symposium was attended by more than 100 oncology professionals and scientists from around the word, including many BCRF investigators, and featured presentations on all aspects of ILC including incidence and epidemiology, genetic risk factors, screening and detection, improving surgery and therapies, metastasis and survivorship. Thirty ILC survivors and co-survivors also attended and participated in discussions with the scientific experts. BCRF’s Margaret Flowers attended the meeting and came away with these insights into ILC. The incidence of ILC is highly correlated to exposure to female hormones estrogen and progesterone, so factors that increase this exposure over a lifetime can increase the risk of ILC. Intriguingly, these associations are much stronger in ILC compared to IDC. These factors may include hormone replacement therapy, age at menarche, first birth and menopause, all of which contribute to lifetime hormone exposure. Alcohol consumption, which is a known risk factor for breast cancer, seems to have a greater impact on risk of ILC than IDC. ILC occurs more often in older women (postmenopausal) and is more often diagnosed at a later stage than IDC. This reflects the difficulty in detecting ILC with mammography. ILC is rare in men, accounting for less than 2 percent of all male breast cancers. ILC tumors grow as single cells lined up in a row rather than clusters as seen in IDC. This makes them harder to detect on mammography. They are also more likely to be multi-focal (more than on lesion) or bi-lateral (in both breasts) and this creates challenges not only in accurate screening and detection, but also in obtaining biopsies and in successful surgery. ILC is generally characterized by favorable prognostic indicators including expression of the estrogen receptor (ER+), progesterone receptor (PR), low or no HER2 protein (HER2–) and low proliferation index (low Ki67), making it a good candidate for endocrine therapy, particularly aromatase inhibitors. However, in spite of favorable prognosis, ILC often become resistant to therapy and are more likely to metastasize late (spread to other sites) than IDC. ILC is characterized by genetic mutation in the CDH1 gene that codes for a cellular adhesion protein called E-cadherin. E-cadherin is essential to the maintenance of tissue architecture and loss of E-cadherin is a characteristic of more invasive breast cancers. ILC has a unique metastasis profile. Unlike IDC that may metastasize to bone, brain, lung and liver, ILC tumors tend to spread to bone, and to unusual places, such as the peritoneum, (the area surrounding the abdomen), ovaries and gastrointestinal tract. ILC metastases to organs such as liver and lung is less frequent compared to IDC metastases. Mammography is the standard breast cancer screening procedure. MRI is the gold standard for early detection of ILC but is not covered by most insurance policies. 3D mammography coupled to ultrasound has advantages but has not been studied in randomized controlled clinical trials for ILC. New methods for PET-CT are being developed and tested, but currently no modality is perfect for ILC screening. Liquid biopsy may be a future option as this technology continues to be refined and biomarkers for ILC are identified. Local and regional recurrence of ILC is a serious clinical concern. Because these tumors are more diffuse, breast conserving surgery is more challenging. Endocrine (anti-hormone) therapies are the first line approach for treatment of ILC, but there are distinct differences in how ILC tumors respond to these therapies compared to hormone responsive IDC tumors. While ILC is recognized as a molecularly defined subset of breast cancer, there is still much we don’t know about the clinical implications of it unique biology. Acquired, late resistance to endocrine therapies is common in ILC. Scientists are actively pursuing other biological targets that would enhance the effect of anti-estrogen therapies. The major driver of ILC is the loss of E-cadherin due to a mutation in the CDH1 gene. Novel strategies such gene editing technologies may someday allow scientist to develop gene therapies that could restore the function of this driver mutation. Biomarkers are needed to begin to understand the risk factors for ILC, as well as to predict recurrence. ILC-unique screening assays similar to OncoType DX® and the identification of blood-based biomarkers would allow clinicians to better assess each patient’s risk or progression of disease. A lack of clinical trials specifically in ILC is a major barrier in advancing treatments for this disease. Because ILC represents a small percentage of invasive breast cancer cases, ILC patients are underrepresented in clinical trials. Patients and survivor participants were encouraged to become advocates in the ILC community and encourage patients to participate in much needed clinical trials. The participating clinical investigators agreed on the need to design clinical trials focused on ILC patients, including genome-based trials and identifying more relevant endpoints in this patient population. The unusual pattern of ILC metastasis and the diffuse nature of the primary breast lesion creates unique challenges in the management of advanced ILC disease. 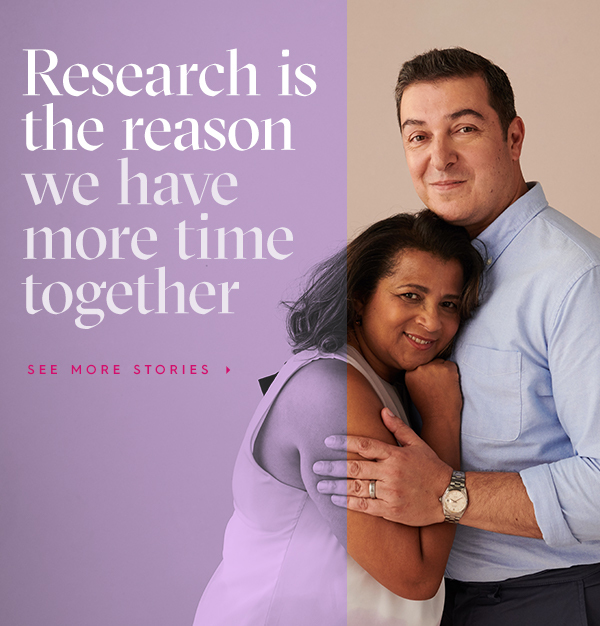 One patient who was diagnosed with de-novo stage IV disease (metastatic disease at diagnosis) explained that because she had no palpable breast mass, she was excluded from clinical trials. Everyone present agreed that much more basic research is needed. Unlike IDC, there are few laboratory models that represent the unique biology of ILC. Several groups are working hard to develop appropriate models to study the disease and test potential new therapies and it will be important that researchers share these resources and data to accelerate life-saving discoveries. Another barrier to the research in ILC is the lack of clinical specimens. This is due to several factors: low incidence of ILC, fewer patients with ILC in clinical trials, and difficulty in obtaining enough biopsy material for research studies. Finally, perhaps the greatest barrier to advancing treatments for ILC is a lack of funding for ILC research. Patients and survivors were encouraged to become advocates for more government support of ILC research. As the meeting adjourned Dr. Oesterreich commented on what she thought were the most important things to come out of this inaugural meeting. Towards this end, meeting organizers plan a follow up taskforce meeting to identify action items and next steps and a 2nd ILC Symposium is planned for 2018. Patient advocates who attended the meeting are preparing a “white paper” report of the meeting to send to stakeholders, including national breast cancer advocacy groups, breast cancer research funders, breast cancer education groups, etc. BCRF is proud to have supported this important meeting, as well as four 2016 research grants totaling $1 million to study the biology of ILC, identify new therapeutic targets and strategies to improve response to anti-hormone therapies.